The fundamental question, then, is why French politicians impose such a heavy burden of government spending – with a very high cost to the economy – when citizens don’t get better services? Switzerland has direct democracy- democracy in its purest form. Most of the rest of the world has token democracy, whereby the elected officials believe the People have ceded power through their vote to them to do as they feel. If you try to make being poor more comfortable (and thus being rich harder) in the short term, total systemic poverty will overrun you in the long term. Yes, but to go from 57% government spending to 34% you have to undergo some immediate cuts now, and then wait for the compounding effect of growth to catch up and eventually set you on a permanent higher growth trendline. And which voter will do that? Only those electorates that serendipitously (or by virtue of the law of -small- probabilities) break away from the demagogic Krugmanesque norm of higher growth through less personal motivation and flatter effort-reward curves. And that is why voters need to understand the eventual indomitable power of compounding higher growth. It is more likely than not that by the end of this century (a very long time in human progress) the cure or complete prevention of cancer will be found. If humanity had had a mere one tenth of a percent higher annual growth in the past millennium, the cure or prevention would have already been found. Every person who dies from cancer today, together with the billions that will likely die by the time the disease is finally conquered, is, in a rather direct way, a victim of lower growth. French mentality growth. 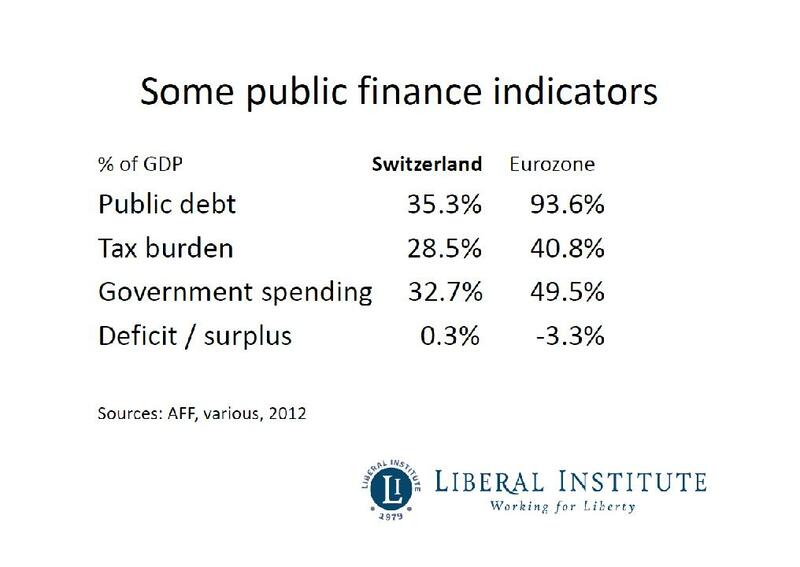 I admire Switzerland primarily for one reason: Unlike Americans, the Swiss citizens have had many centuries to screw up their country through mandatory compassion and the big state it requires. But they have not. In America, seems like it was mostly the serendipity of finding a brand new continent and having to rebuild the indolent behemoth from scratch – though Latin America proved that that can be done quite fast. In any case, that is why all prosperous countries that are not tiny are new-world recently discovered continents. But that is temporary and only a matter of time until Americans succumb to standard French voter mentality. The point of no return has passed already and the country is firmly in the grip of the vicious cycle to decline. So enjoy the short age of the smorgasbord the best you can. ObamaCare kicks in, in a few short months! Some people will drop from the workforce, others will become a little less motivated, some HopNChangers will keep working out of idealistic momentum until they realize what they have done. Lower long term economic performance, a little more desperation, a NEW call for even more help from the collective. The vicious cycle has closed. Teach your children the advantage of international mobility,… or put all your eggs in what seems to be evolving into the American (hand) basket. Switzerland is special for more than just its terrific chocolate. I have just arrived from a month working in Switzerland and, specially coming from Uruguay, I always return so impressed by Swiss decentralization of power, micro level management of public affairs, direct democracy in important decisions and general lack of interest in politics and politicians …. very refreshing! Gee, I wonder if we can make better sense of the global picture by supposing that the world has neighborhoods (e.g. 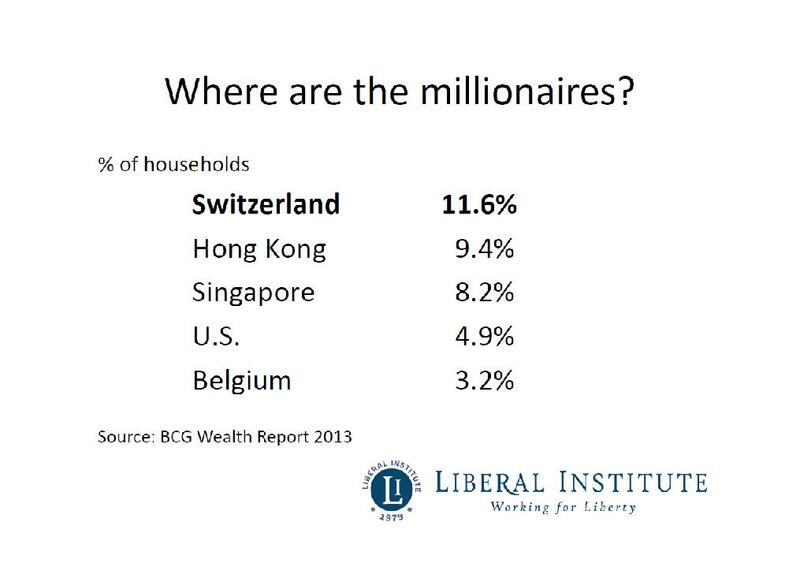 Hong Kong, Switzerland, etc.) where the superwealthy are overrepresented, just as every country has its wealthy neighborhoods. Now, we are, or should be, familiar with the problem of people becoming superwealthy through state capitalism, i.e. rigged commerce carried out under the color of law and protected by cops, courts, and soldiers. Case in point: The wealthiest area of the USA is now a region surrounding the federalists’ capital. Not hard to figure out that a hypothesis of “Economic Freedom” is inadequate to explain this phenomenon. Now let’s take a look at Switzerland. In the process of doing so, let us recall the global, integrated system of nationalized currencies and central banking.